Our Level IIIA body armor is Stand-Alone and Multi-Hit capable. Designed to defeat pistol caliber threats up to .44 magnum, and .357 SIG at 1,430 feet per second or lower, including all lesser pistol calibers. Rimelig: This soft body armor is for everyone! It can be applied, both in the field and in every-day life, without a serious tax on your wallet. Get the performance you expect from AR500 Armor® Body Armor, without a sacrifice in quality or value. Constructed with Imported Aramid Fibers, Rimelig armor is designed, cut, sewn, and assembled right here in the USA. All soft armor has a limited 5-year warranty. Hybrid: Our flagship Hybrid IIIA soft body armor is constructed from industry leading materials from Honeywell Spectra Shield®, Gold Shield®, and DuPont™ Kevlar®. We've harnessed the full ballistic capabilities of these materials maximizing synergy between components; creating the ultimate Hybrid IIIA soft body armor panel. The result is an ultra-light, thin, high strength, and a flexible armor system in a 1lb package (10" x 12" ASC model)! All soft armor has a limited 5-year warranty. Steel: All the ballistic protection of the Hybrid and Rimelig armor systems, while also being stab and slash resistant! Steel also has a 20 year warranty period! Our lightweight level IIIA steel plate comes standard with a build-up coating of our PAXCON anti-spall and fragmentation material, as well as an ergonomic curve ($45 value!). Independently tested and rated to NIJ 0101.06 standards to defeat six (6) rounds of 7.62x51 M80 NATO Ball from 51’ at 2,780 feet per second. NIJ 0101.06 Certified - Six (6) rounds of 7.62x51 M80 NATO Ball from 51’ at 2,780 feet per second. Special Threat tested to defeat 7.62x51 M80 Ball at 2,800 feet per second. Special Threat tested to defeat 5.56x45 M193 at 3,150 feet per second. Special Threat tested to defeat 7.62x39 AK 47 at 2,380 feet per second. Special Threat tested to defeat 5.56 x45 M193 and 5.56x45 M855/SS109 (Penetrators) at 3,100 feet per second. Special Threat tested to defeat 7.62x51 M80 NATO Ball (non-AP) at 3,000 feet per second. Our Level III+ Lightweight plates have a genetically similar ballistic core to our standard level III+, except we made it thinner and lighter! The result is an evolved form of steel body armor and is currently the lightest and highest rated ballistic steel core body armor on the market. Special Threat tested to defeat 5.56 x45 M193, 5.56x45 M855/SS109 (Penetrators) at 3,000 feet per second. Special Threat tested to defeat 7.62x39, and 7.62x51 M80 NATO Ball at 2,850 feet per second. Our Level IV hard armor plate is a cost effective, multi-hit rated, NIJ 0101.06 Certified plate that offers excellent value and performance. Professionally wrapped, water resistant, and manufactured 100% in the USA. Special Threat tested to defeat 30-06 APM2 (7.62x63mm 165gr) Armor Piercing Black Tip Rounds, and all lesser level III and III+ threats. Steel: Our steel armor offers heavily reduced back face deformation when compared to ceramic and PE type armor. AR500 Armor® steel body armor offers stress fracture resistance, an amazing 20-year maintenance free shelf life, and un-paralleled stand-alone multi-hit performance with rated calibers. Guaranteed to outlast Ceramic, Polyethylene, and UHMWPE body armor in multi-hit capability and shelf life. 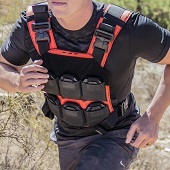 Trauma Pads: Designed to be worn in conjunction with and behind your body armor, our Trauma Pads reduce the amount of energy transfer to your body, reducing felt energy through your armor. Trauma pads are Non-Ballistic and offer no increase in ballistic protection. Spall and Frag Coating: All of our steel plates come with a base coat of our PAXCON (a military division of Line-X) spall and fragmentation coating. Encompassing each AR500 Armor® steel body armor plate, it adds resistance against the elements and other forms of abrasion. Suitable for hard use applications and storage in less than ideal conditions. With our Build-Up coat applied, our steel body armor is capable of containing rated rounds on impact, substantially mitigating fragmentation and spall. Significantly improving safety from bullet fragments. Advanced Shooters Cut: Our Patented Advanced Shooters Cut (ASC) allows an improved stock weld when in the firing position, improving ergonomics and comfort. In some cases, the Advanced Shooters Cut can reduce the need to fully collapse your rifle stock. To further highlight these features, we offer Advanced Shooters Cut in both right and left handed orientations. Compatible with all standard plate carriers that accept SAPI or traditional shooters cut body armor. Form: Our steel body armor is available in both flat and curved formations. Flat plates are typically used as a back plate, or as a more budget friendly alternative. Multi-Curve plates are unanimously considered to be more comfortable, and are always recommended if funds permit. We use a minimally invasive forming technique for each Multi-Curved plate to ensure performance and armor integrity.